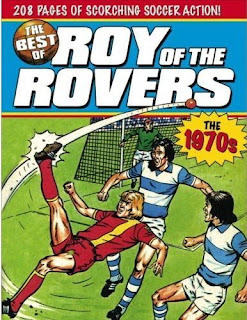 "This title celebrates another momentous decade in the career of soccer's greatest player, Roy Race, as he competes to win the GBP 30,000 Goal Rush Challenge, teaches how to play American Football, tackles the problem of hooliganism head on and struggles to control Melchester's latest signing - the fiery, arrogant but highly talented Paco Diaz. 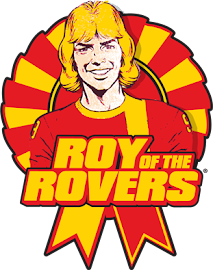 This volume also features a selection of features and articles taken from the original "Roy of the Rover" comic, including a 2 page feature written by Eric Morecambe. 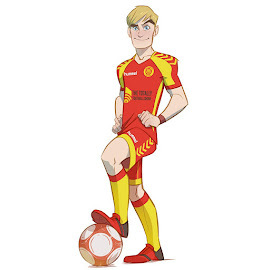 Also included is a selection of period ads for legendary toys including Chopper, Dinky, Corgi and a variety of Kellogg's long defunct breakfast cereals."